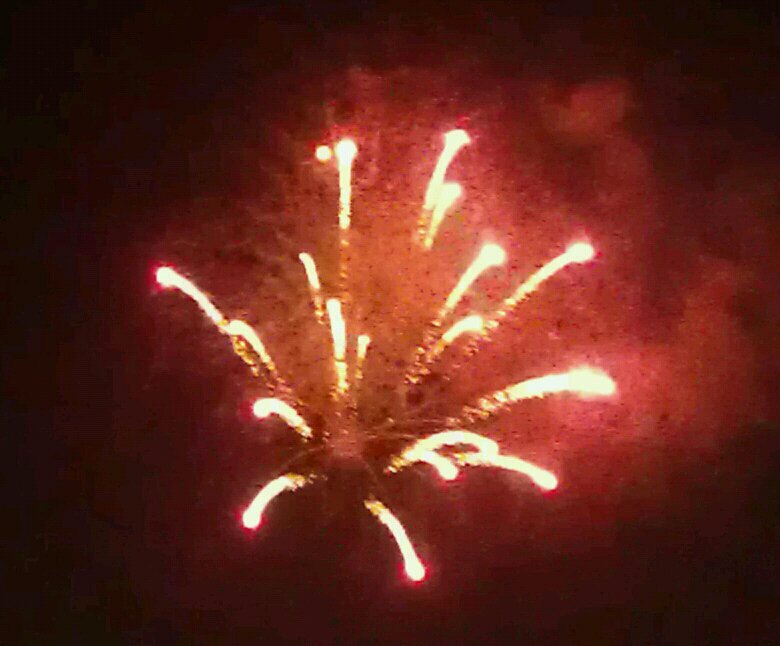 I think my favorite memory of the 4th of July has got to be the fireworks. I remember the loud ones from when I was little. The ones where I could have cared less about the explosions, but more about which boy my friends and I would run into at the show. The ones spent with relatives, camp, and even France when I was 16 and involved in an exchange program. But the ones I remember most are the ones that my brother and my father would set off in the yard, in an alley and sometimes even our driveway. The one requirement was somewhere we would not get caught. I'm in it for the Bang! One specific memory was back in the early 80’s and I was about 14 or so, my Dad and Brother had obtained some class “c” illegal fireworks which I was informed were with “report” which is a technical and very sophisticated way of saying they go BANG! Well one in particular was shaped like a tank, with a smart little teeny-weeny firecracker sticking out of the top of the tank acting like the powerful weapon it was portraying. My brother and father used both of their heads to figure out to point it in a satisfactorily safe direction and light the unimpressive cannon. The little wick began to crackle and then they also observed and held a commentary about how the tiny little weapon begin to sizzle louder and louder and started to throw some pretty impressive sparks. The little tank that could, then as if it had a brain and knew just where to aim, did an abrupt about-face and zeroed in its aim at both of their heads. BAM! BANG! BOOM!! FIRE FIRE FIRE!!! INCOMING!!! They shouted……..boys and their toys. Maybe someday I’ll tell the tale of the “Battle of the South”. What’s more American than surf city USA otherwise known as Huntington beach.